iPod dock. USB direct plays photos and music from USB flash drives. MP3 Line in for Music playback from portable media players. Playback Media: DVD-Video , DVD+R/+RW , DVD-R/-RW , Video CD/SVCD , CD-R/CD-RW, Audio CD. 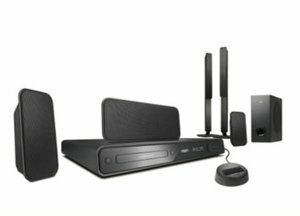 Indulge in an unbeatable home cinema experience with this system. 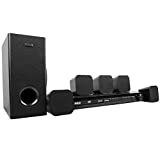 Delivering incredible surround sound and clear pictures via HDMI 1080p upscaling, it also plays from virtually any type of disc and from USB drives and portable media players. 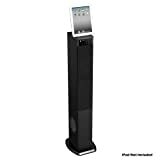 Use the docking station for your iPod, and enjoy music from your iPod on the home theater system. HDMI 1080p upscaling delivers images that are crystal clear. Movies in standard definition can now be enjoyed in true high definition resolution - ensuring more details and more true-to-life pictures. Progressive Scan (represented by p in 1080p') eliminates the line structure prevalent on TV screens, again ensuring relentlessly sharp images. To top it off, HDMI makes a direct digital connection that can carry uncompressed digital HD video as well as digital multichannel audio, without conversions to analog - delivering perfect picture and sound quality, completely free from noise. * iPod dock. USB direct plays photos and music from USB flash drives. MP3 Line in for Music playback from portable media players. * DivX Ultra Certified for enhanced playback of DivX videos. * Playback Media: DVD-Video , DVD+R/+RW , DVD-R/-RW , Video CD/SVCD , CD-R/CD-RW, Audio CD.